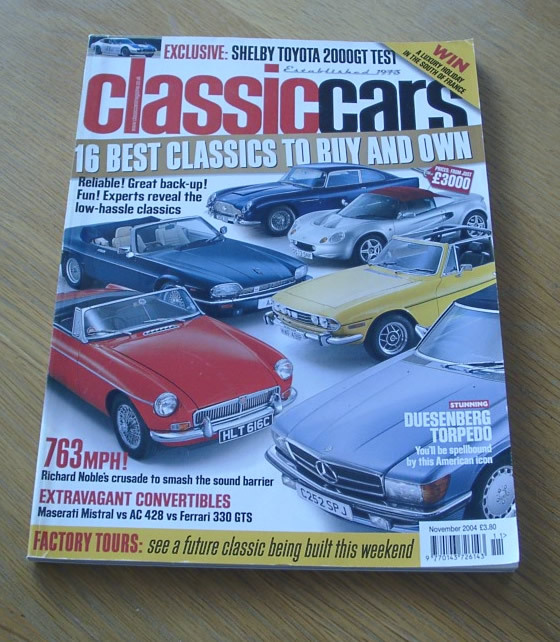 November 2004 of the British Magazine, Classic Cars. Each issue has a variety of features, car road tests, mechanical how-tos and articles about collectable, rare, old, classic and collectors cars. 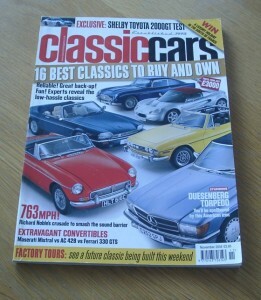 The cover feature of this issue is “16 best classics to buy and own”. Other articles include items on Shelby Toyota 2000GT, Richard Noble, Vanden Plas 4 litre, AC 428 Convertible vs Maserati Mistral and Ferrari 330 GTS and many more. We will ship worldwide.. UK is only £2.50, Europe is £6, America and Canada £10. All other Countries please email for a quote.